Figure 2. Alignment of the three main classes of lactococcal bacteriophages: the prolate headed c2, the small isometric headed sk1 (936 class), and the small isometric headed Tuc2009 (P335 class). Early, middle, and late expressed regions and putative functions are indicated. Adapted from Desiere et al., 2002 and Stanley et al., 2003.
lysogenic infection occurs when so-called temperate bacteriophages infect the host cell, but rather than initiating a lytic cycle, they can instead integrate their genome within the host chromosome. The phage then exists as a dormant prophage, and is replicated along with the host genome during cell growth. Importantly, lysogenic cells may be immune to subsequent infection. Although the mechanisms dictating whether a temperate phage enters a lytic or lysogenic phase are not completely known (for lactic phages, that is), it appears that lytic and lysogenic genes are subject to transcriptional regulation. Specifically, repressors of these two pathways (i.e., lysis or lysogeny) apparently exist that prevent transcription of the relevant genes. It has also been demonstrated experimentally that prophages can be induced, such that the phage is excised from the chromosome and is converted from a lysogenic state to a lytic phase.The observation that prophage induction may occur during cheese manufacture suggests that prophages may be a source of new phages within fermentation environments (e.g., cheese plants). In addition, the ability to manipulate prophage induction by temperature, osmolarity, and other environmental cues, makes it possible to accelerate lysis of starter culture cells and release of enzymes necessary for cheese ripening (Feirtag and McKay, 1987; Lunde et al., 2005). Brussow, H. 2001. Phages of dairy bacteria.Annu. Rev. Microbiol. 55:283-303.
prophage stability in Lactococcus lactis.Appl. Environ. Microbiol. 71:721-727. McGrath, S., G.F. Fitzgerald, and D. van Sinderen. 2004. Starter cultures: bacteriophage, p. 163—189. In P.F. Fox, PL.H. McSweeney,T.M. Cogan, and T.P. Guinee (ed.). Cheese: Chemistry, Physics, and Microbiology, Third ed., Volume 1: General Aspects. Elsevier Ltd., London. Rakonjac,J., PW. O'Toole, and M. Lubbers. 2005. Isolation of lactococcal prolate phage-phage recombinants by an enrichment strategy reveals two novel host range determinants. J. Bacteriol. 187:3110-3121. Stanley, E., S. McGrath, G.F. Fitzgerald, and D. van Sinderen. 2003. Comparative genomics of bacteriophage infecting lactic acid bacteria p. 45—94. In B.J.B.Wood, and RJ.Warner (ed.). Genetics of Lactic Acid Bacteria. Kluwer Academic/Plenum Publishers. New York, New York. culture systems for sauerkraut have not been as readily adopted (Chapter 7). In other cases, the manufacturer may prefer to maintain and propagate their own proprietary cultures. Many breweries, for example, have the necessary laboratory facilities and personnel to support internal culture programs. The production of fungal-fermented foods (described in Chapter 12) also frequently relies on house strains. 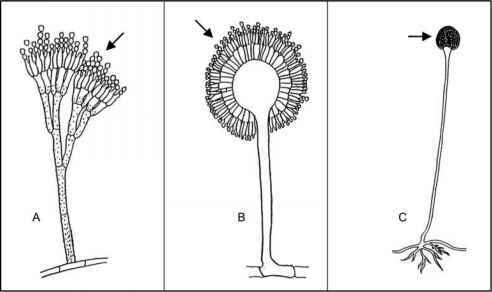 When starter culture technology first developed (and for many years thereafter), the actual organisms contained within most starter cultures were generally not well established in terms of strain or even species identity. Rather, a culture was used simply because it worked, meaning that it produced a good product with consistent properties. Such undefined cultures, however, are now less frequently used. Instead, the organisms present in modern commercial starter culture preparations are usually very well defined, often to a strain level. They are also carefully selected based on the precise phenotypic criteria relevant for the particular product (Table 3-1). Table 3.1. Desirable properties of starter cultures. are Gram positive, catalase negative het-erotrophs that metabolize sugars via either ho-mofermentative or heterofermentative metabolism. The LAB grow over a wide temperature range, although most LAB are either mesophiles or moderate thermophiles (with temperature optima of about 30°C and 42°C, respectively). Likewise, they vary with respect to salt tolerance, osmotolerance, aerobiosis, and other environmental conditions, accounting, in part, for the diversity of habitats with which they are associated. Although twelve genera of LAB are now recognized (Chapter 2), starter culture LAB belong to one of four genera, with the dairy LAB representing the largest group. The latter include species of Lactococcus, Streptococcus, Leuconostoc, and Lactobacillus. The dairy starters are generally grouped as mesophiles or thermophiles, depending on the product application, but even this designation has become somewhat blurry. In fact, thermophilic strains of Streptococcus thermophilus are now sometimes included in mesophilic starter cultures (e.g., for Cheddar cheese), and mesophilic Lac-tococcus lactis susbsp. lactis are occasionally incorporated in thermophilic cultures (e.g., for Mozzarella cheese). In general, dairy cultures perform three main functions: (1) to ferment the milk sugar, lactose, and acidify the milk or cheese; (2) to generate flavor or flavor precursors; and (3) to modify the texture properties of the product. Lactic acid bacteria used as starter cultures for other fermented food products have similar functions, although acidification is by far the most important. In sourdough bread, for example, starter culture strains of Lactobacillus san-franciscansis ferment maltose and lower the dough pH via production of lactic acid, but the culture also produces acetic acid and other flavor and aroma compounds. Table 3.2. Lactic acid bacteria used as starter cultures.